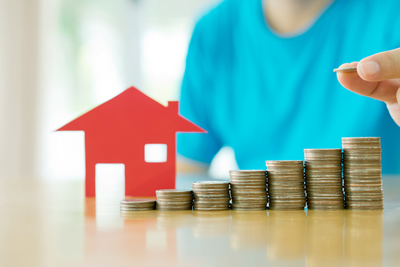 Whether you are buying your first home, or have been making mortgage payments for years, you may be thinking about reducing this obligation, faster. In fact, changing your term, the payment amount and even making lump sum payments could pay down your mortgage more quickly. The amortization period is the length over which the debt is carried. By reducing this time period, from 25 years to 15 years, you will save thousands in interest. The following chart shows these savings. *Compounded half-yearly, not in advance. **Interest savings over the life of the mortgage, assuming constant interest rate throughout amortization period. Many lending institutions allow for lump sum payments. On the anniversary date you can make a payment of a specified amount towards the mortgage. You may also be able to double up on regular payments on any payment date. These double-up payments are applied to the principal. Any additional amount you can make on your principal reduces the amount of interest. Check with your lender when you have additional cash reserves.